These products are single tied expansion joints with 150 lb flange drilling. They were fabricated completely of 316 stainless steel. They range in size 6″ to 18″ in diameter and weigh between 40 lbs to 140 lbs each. Their travel capacity ranges from 0.88″ to 1.2″ at 25 PSIG and 180°F. 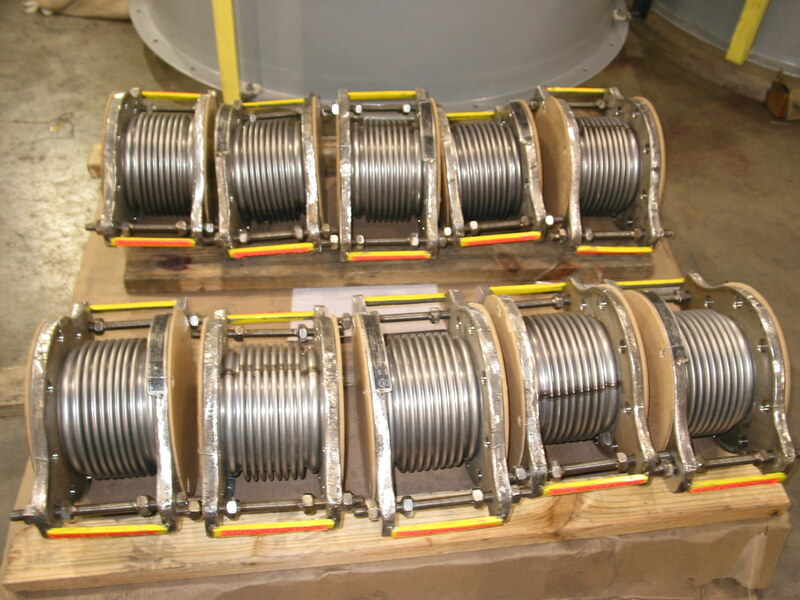 The expansion joints are used in a water treatment piping system facility. The bellows longitudinal and attachment weld seams were 100% Dye-Penetrate examined. The expansion joints were pneumatically tested at 15 PSIG for performance and quality assurance.